Ireland is often referred to as ‘the old country’ by members of its diaspora and with good reason. As explained on a previous Irish Shop blog post, Halloween stems from the ancient Celtic festival Samhain which was the time of the year during which“the veil between the world of the living and the world of the supernatural was believed to be at its thinnest”. Samhain was celebrated by the pre-Christian Celts around 2,000 years ago. Of course, ‘the old country’ has a long and often spooky history which explains why ancient graveyards like Newgrange and the Dolmens remain popular tourist attractions in Ireland…and with graves come ghosts. 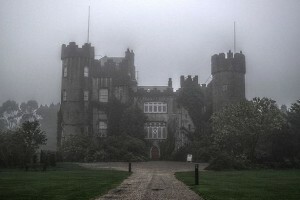 While many castles in Ireland (if not all) are said to be haunted by ghosts, Malahide Castle in Dublin (pictured top right) is believed by some to have five lingering spirits roaming its halls. 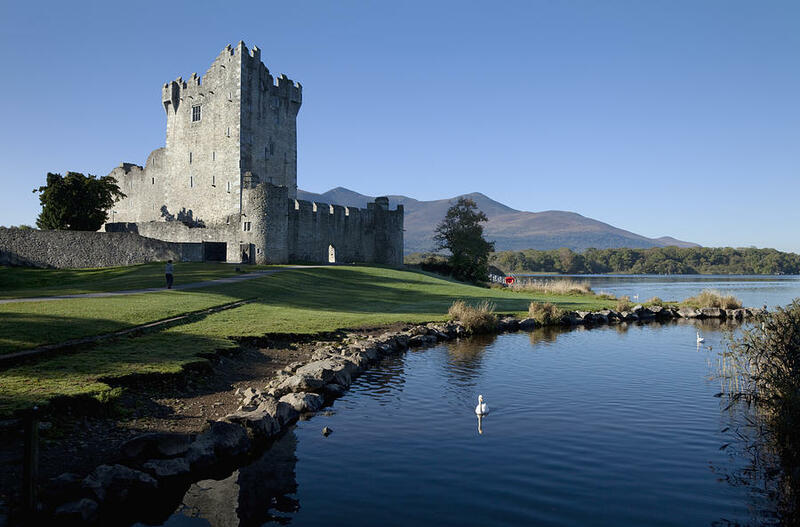 Built by the Talbots almost 1,000 years ago, the family retained ownership of the castle from the year 1185 all the way to 1975, with the notable exception of a 10-year period when Oliver Cromwell invaded Ireland and handed the property over to a man named Miles Corbett. Corbett, along with many of Cromwell’s army, committed many atrocities in Ireland. The castle’s new occupier made the mistake of desecrating the chapel of the old abbey near the castle estate. For his crimes he was hung, drawn and quartered and the Talbot family reclaimed Malahide Castle as their own. However, Corbett is said to be still wandering around the castle grounds in armor with some witnesses claiming to have watched as his apparition gruesomely fell into four pieces in front of their eyes. Another of Malahide Castle’s alleged tenants is Puck. Puck was the court jester for the Talbot’s in the 16th century. A little over four feet tall, Puck is said to have fallen in love with a visiting noblewoman. Shortly after he was found stabbed outside the castle walls and vowed to haunt the castle with his dying breaths. Puck was particularly active when the contents of the castle were sold off by the Talbots in 1975 and the most famous sightings of the court jester occurred around this time. Irish Shop: Your Home is Your Castle. Browse Through Our Array Of Irish Home Products. 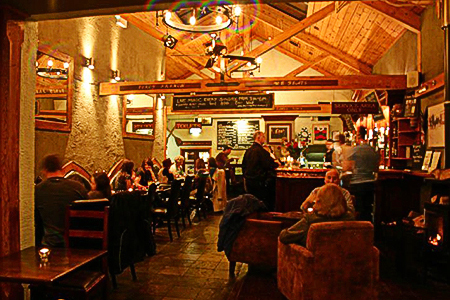 Ireland’s castles may be famous the world over, but they’ll never outshine our pubs! And one in particular has the history to match any castle. 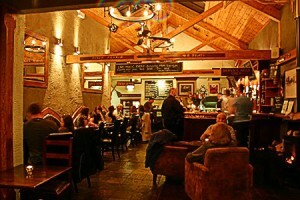 Built in 1611, Grace Neill’s Bar is one of the oldest pubs in Ireland. Originally named The King’s Arms, the pub was christened anew after its landlady Grace Neill who ran the pub in Victorian times. Such was Grace’s dedication to her pub the grim reaper couldn’t stop her from overseeing the bar after her death at the ripe old age of 98. Patrons needn’t worry however, as Grace is said to be a friendly ghost! In life and in death Grace ran a fine old Irish pub. 400 years later after first opening, many still claim to have seen the ghost of an old women in Victorian clothing straightening glasses and tending to the bar at night while odd noises and a strange presence are said to be commonplace. An old castle and a creepy forest? Eek. Charleville Forest Castle is so infamous for being haunted it as appeared on American TV shows such as Living TV’s “Most Haunted” and Fox’s “Scariest Places On Earth”. 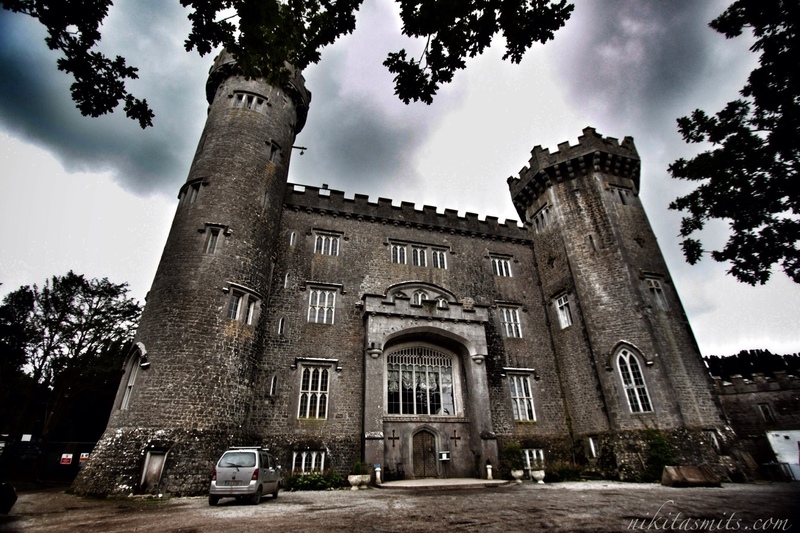 Many paranormal investigators have visited Charleville Forest Castle and numerous guests have reported strange occurrences during their stay here. Built in 1798, the castle remained with the name family (much like Malahide Castle) until relatively recently when the family line ended in 1968. Recently the property has underwent reconstruction work to restore the castle to its original beauty. However, those construction staff working on the site believe the work has disturbed long dead previous dwellers. Legend says the castle was built on an ancient druid stomping ground and that since the work has began many ghostly hooded figures can be seen wandering the castle grounds. Further to this, within the castle the spirit of a small girl has been seen moving furniture, playing and giggling. In a story that echoes Romeo & Juliet Ross Castle has its own tragic story of star-crossed lovers. Ross Castle was built on the shores of Lough (lake) Sheelin in 1533 by an English Lord dubbed “The Black Baron”. His daughter fell in love with a handsome young Irishman called Orwin. One being English and the other Irish, their relationship was never going to be acceptable to the Baron. The pair decided to run away and took a boat onto Lough Sheelin to escape. The unpredictable waters of the lake had other ideas and their boat was overturned. Orwin died while the Baron’s daughter. Upon seeing her beloved’s body laid out in the chapel she died from shock. She can be heard wailing in the castle’s grounds in the early hours of the morning, searching for her long lost love. Irish Shop: Spoil your spouse or partner with our beautiful Irish Jewelry. While we can’t say we’ve seen any old spirits we can certainly help you capture the old spirit of Ireland with our collection of Irish gifts, celtic jewelry, and much, much more. Is It Too Early to Deck the Halls?